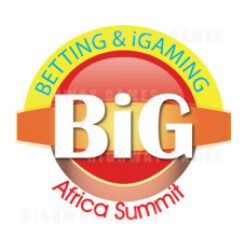 The Betting & iGaming BiG Africa Summit & Exhibition 2014 is a unique chance to look at the developments, challenges and opportunities in Africa's gaming sector. The summit and exhibition will include high-level presentations and discussions on key issues related to The DTI action plan for remote gaming regulation in South Africa, exploring the future development of legal remote gaming and betting in Africa, insights on how can land-based casinos prepare themselves for remote gaming, assessing the opportunities and challenges in South Africa’s/Africa's sports betting industry, future technology in mobile gaming, what gaming start-ups need to know about venture capital funding and many more. The attendees in the summit will consist of CEO's, senior directors and key people in the gaming industry, such as casino operators; regulators; LPM & Bingo operators; bookmakers; horse racing, betting & tote; lotteries; wagering & betting solutions; gaming software providers; equipment suppliers & manufacturers; investors; venture capitalists and payment providers.